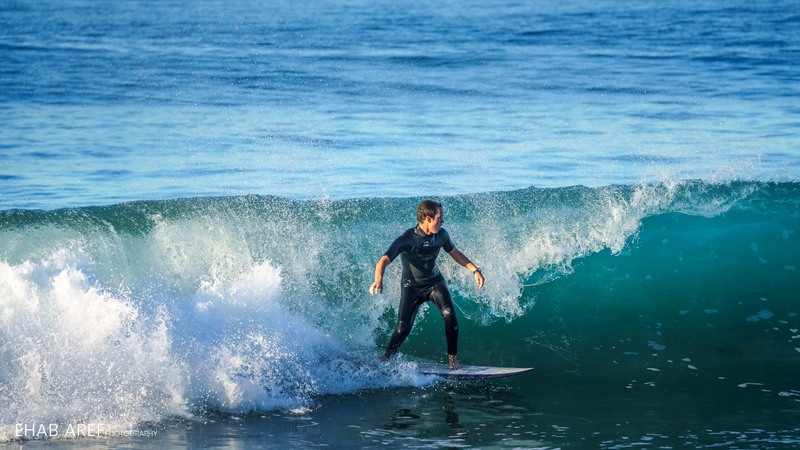 Living in Los Angeles, one of the top surfing destinations in the world, Occidental students take advantage of the proximity to the ocean. Surf culture at Occidental is seemingly under the radar, and the surf club website reports only six members. But nonetheless, surfers are here and extremely passionate about their sport. Surfing originated from Polynesia roughly 3,000 years ago as a method for fishermen to efficiently bring in their catch. This then spread around the globe to become a recognized sport and foster its own subculture. 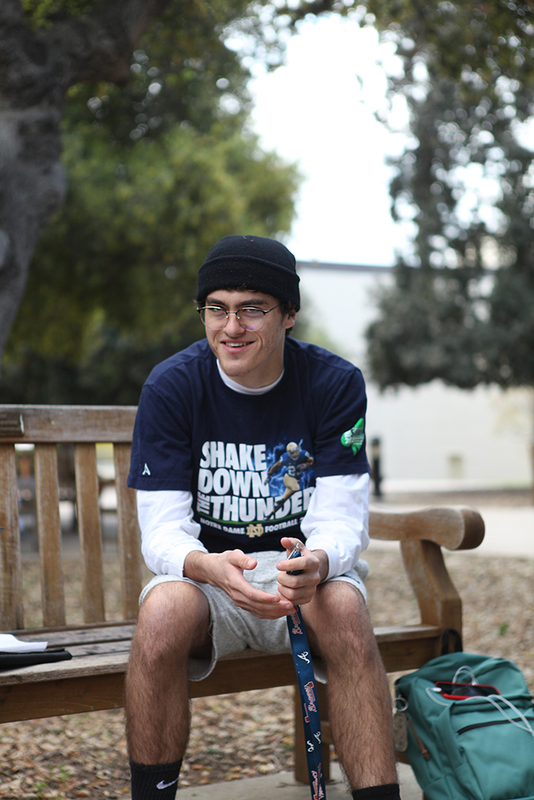 Kai Morfín, (first year) and theater and philosophy major spoke to how surfing helps alleviate stress in his life. “It clears my mind. So if I have papers and things, social issues, whatever it may be — just getting out on the water and seeing nothing but water — it’s calming” Morfín said. The water also is a calming agent and escape from reality for first year, Isaac Martin (first year). That’s not to say surfing doesn’t have its struggles. Despite media portrayal of sharks being the biggest danger to surfers, the more common injuries include lacerations, wave force injuries and dislocations. Martin talked about an injury he got recently while maintaining a relaxed composure. “It can be a little scary sometimes, like, the other week I got nailed in the eye and got seven stitches. But hey, its just kind of good and bad,” Martin said. While the surfers love being out on the water, getting there is no small plight. Surfers are commonly portrayed as laid back and carefree, but it takes a lot of dedication to get up at dawn and drive out to the ocean to catch the best waves. Martin also spoke to monetary obstacles surfers have to hurdle to get themselves on the water. Between purchasing a board, and suit and transportation, surfing can get expensive. “There’s barriers to entry too, like you need a wetsuit, a board like that’s, you know, a few hundred dollars like that’s not inexpensive,” Martin said. Beyond all of this, according to Martin, learning to surf takes lots of trial and error. Accepting failure and moving forward is something surfers have to be okay with, just like other team sports. Failure and falling are synonymous for surfers, but in order to make progress they must be okay with taking the hit. Balancing surfing and school is difficult because of the timing as well as the cultural clash between surfer and student stereotypes. Eamon McNeil, (junior) and president of the Surf Club at Occidental spoke to this dissonance, and how it has been a barrier in getting the Surf Club up and going. The club is composed of people of all different levels of skill and commitment, according to multiple members. Some, like Martin, go out every week while others have never been. “Within LA, but especially within Oxy, I think there are a lot of people and the skill levels are so different, and their experience with surfing and what they’ve done before is so different, that it’s really cool to have a club that sort of brings you under one umbrella,” Morfín said. According to McNeil, getting a large group to the beach with boards and wetsuits is difficult to orchestrate because there seems to be a lot of interest in surfing, but not a lot of follow through. “Our email list is huge, which is awesome. It’s a bunch of people, like students are behind it- but it’s just a matter of harnessing that into something else,” McNeil said. Morfin said that despite the lack of action, members are hopeful and happy to be connected with other people who are also interested in surfing. “It’s really really laid back and it’s also like not everyone goes to actually surf- it’s like a group of common interest,” Morfín said. Ultimately, despite any setbacks and injuries the surfing causes, the benefits largely outweigh the struggles and surfers at Occidental love the sport. “I think that the most fun that you can have on earth is on a board,” Morfín said.